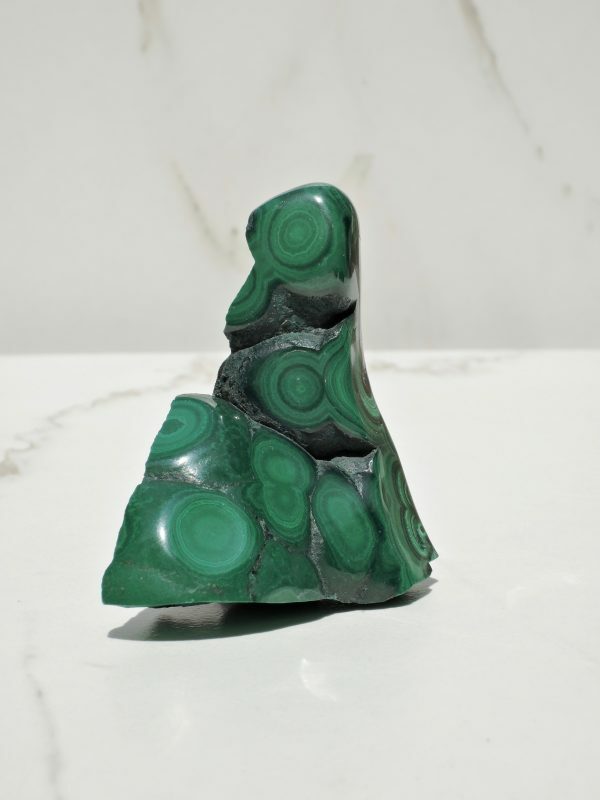 Psychedelic green swirls dance across the polished side of this sculptural Malachite masterpiece, contrasting with the rough-hewn texture along the back. 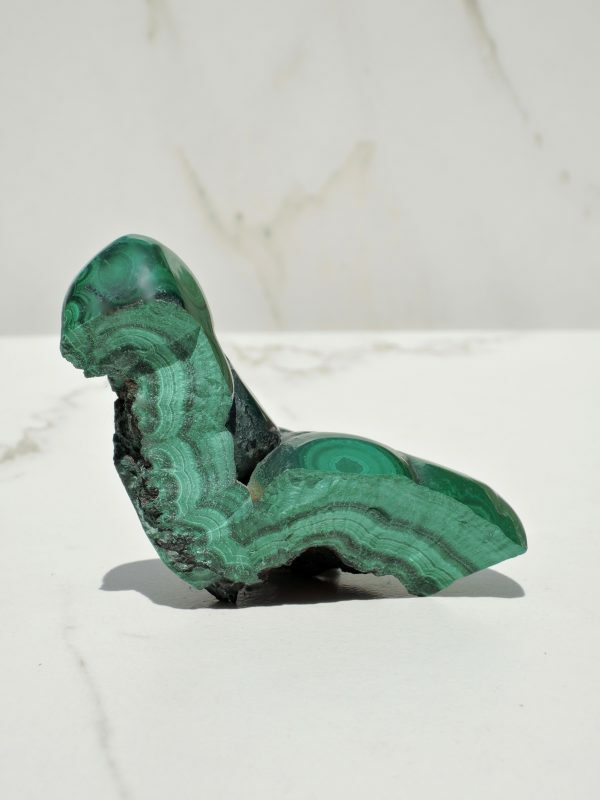 This freeform beauty will sit pretty wherever you place it, but Malachite’s qualities as a manifestation crystal make it a great fit for your bedroom or living room. 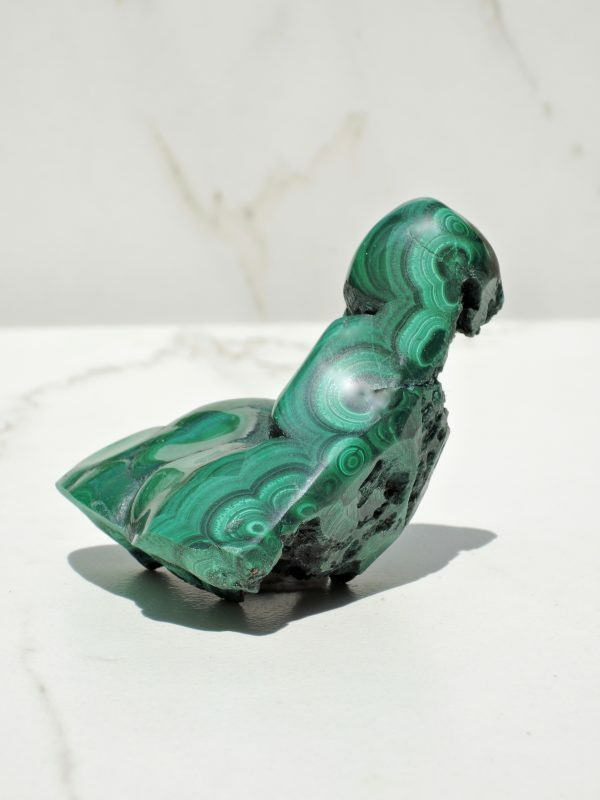 Malachite magnetizes abundance in harmony with the heart, attracting prosperity as part of an inner transformation where what you attract makes you feel good. 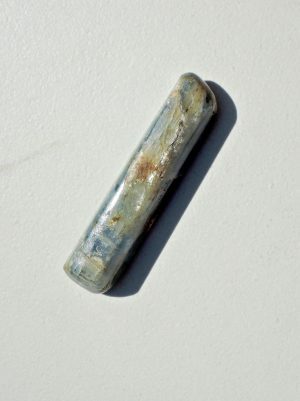 It also does double duty, absorbing negative energies such as EMF’s and environmental influences. We love Malachite so much that we’ve included it in our Prosperity crystal kits as well – it’s one stone that everyone should have in their life. 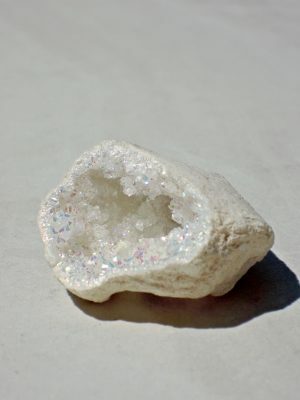 * Avoid longterm direct sun exposure to avoid color fading and exposure to salt. 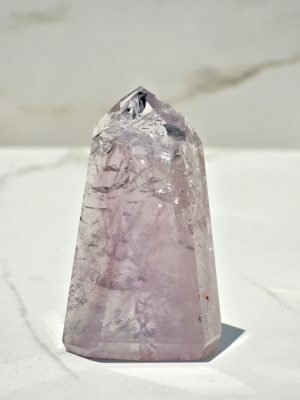 Use running tap water or smoke from sage or palo santo to cleanse.